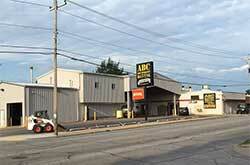 ABC Equipment Rental in Tulsa OK has the tool rentals and equipment rentals to make your weekend or major project easier. Check out our extensive rental equipment inventory! From air compressors to mini excavators, compaction equipment to concrete tools, electric tools to tractors, generators to heatera, scaffolding to pressure washers, We Have It All!! ABC Equipment Rental is also an authorized STIHL dealer for chain saws, augers, drills, edgers, hedge trimmers and brush cutters. 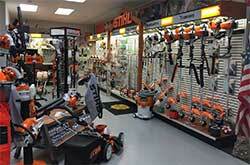 We have a great STIHL showroom, so come by and visit us. We pride ourselves on customer service, so we will help you select the right STIHL product for you and provide exceptional service after the sale.